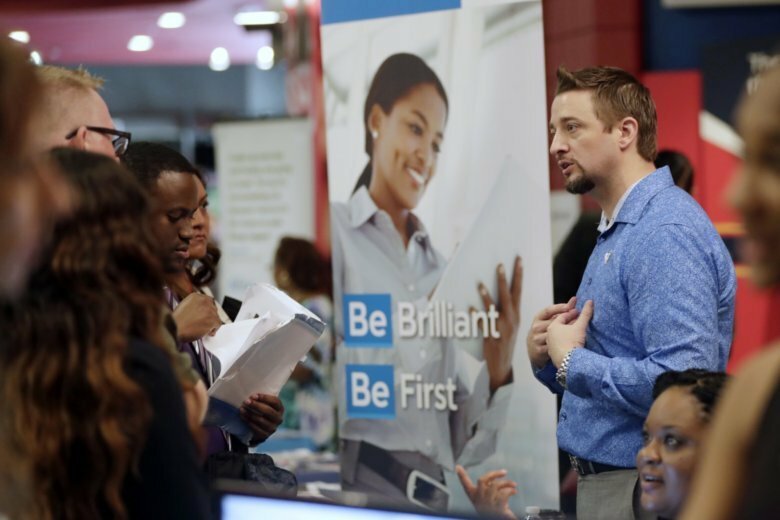 WASHINGTON (AP) — U.S. businesses added a robust 230,000 jobs in September, a private survey found, a sign that strong economic growth is spurring companies to add more workers. Payroll processor ADP said Wednesday that September’s job gain was the most in seven months. It followed 168,000 new jobs in August, a figure that was revised slightly higher. Hiring was strong across most major industries. Construction firms added 34,000 jobs, while professional and business services, which includes higher-paying jobs such as engineering and accounting as well as temp workers, added a strong 70,000. Education and health services added 44,000 jobs. ADP’s report comes two days before the government releases jobs data for September. Economists believe Friday’s report will show that employers added 183,000 jobs, according to data provider FactSet. “The labor market continues to impress,” Ahu Yildirmaz, vice president of the ADP Research Institute, said. Mark Zandi, chief economist at Moody’s Analytics, which helps compile the data, said Hurricane Florence likely had little effect on the figures. That’s because ADP counts someone as employed even if they miss work because of bad weather. The government’s jobs data, however, counts someone as employed only if they were paid during the period when the government conducts its jobs survey. Zandi estimates that the storm could reduce Friday’s figure by about 25,000. Consumers are confident and businesses are spending more, pushing growth to 4.2 percent at an annual rate in the April-June quarter, the best in four years. Analysts forecast that growth could reach nearly 3.5 percent in the current quarter.